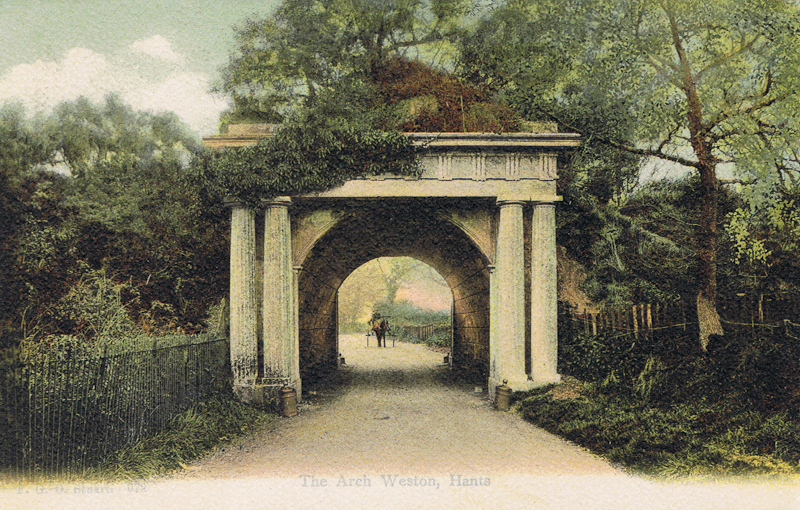 There were two arches on Weston Lane, built by MP William Chamberlayne; the upper arch was demolished in 1931, the lower in 1948. This is the upper 'column' arch, probably looking south, No trace remains of this today. Updated information thanks to a helpful visitor.